Because I had to create tension without those usual tools, I needed real people with authentic problems; a plot based on what really does happen in the antiques world; an unstable political situation; untrustworthy and corrupt characters; a hostile environment. In The Turkish Affair, my heroine Anne, a translator working in backwoods Turkey, has let a failed marriage and a scandalous affair turn her into a fearful person. Now, again faced with disgrace, she has a choice: she can run away, or she can find her lost courage, discover who is trying to frame her. My hero, Renaud, is passionate about his work as an archaeologist, about traveling around the world and discovering lost civilizations. He loves and appreciates women, but is determined to stay uninvolved: women need security and a comfortable home base, and that would be too much of a sacrifice for him. 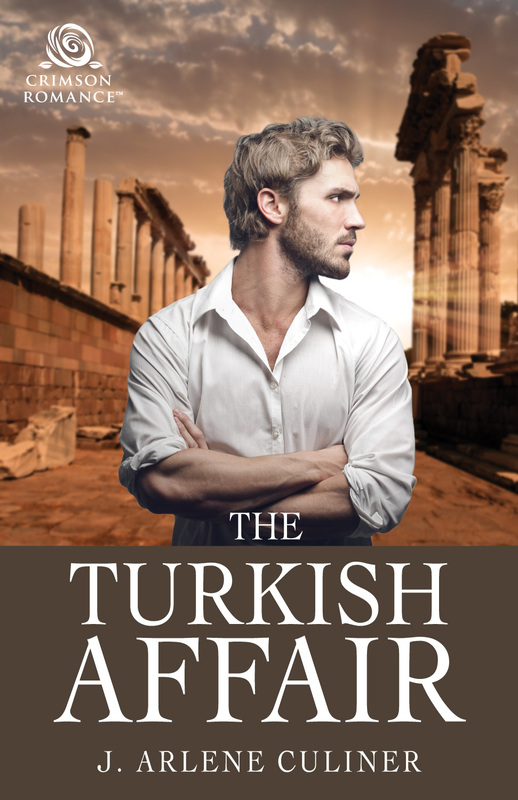 Arlene will be giving away an ecopy of THE TURKISH AFFAIR to one lucky person leaving a comment or email entry. Giveaway ends 11:59pm EST Oct. 21st. Please supply your email in the post. You may use spaces or full text for security. (ex. jsmith at gmail dot com) If you do not wish to supply your email, or have trouble posting, please email maureen@JustContemporaryRomance.com with a subject title of JCR GIVEAWAY to be entered in the current giveaway. US residents only.